Micro SD Card Speed test: "Sandisk Extreme PRO UHS-U3" vs "Lexar UHS-I 633x"
When you fly your drone you have limited minutes. Speed matters, including memory card WRITING speed. Simple test: Sandisk Extreme Pro vs Lexar UHS-I, that was included with drone. 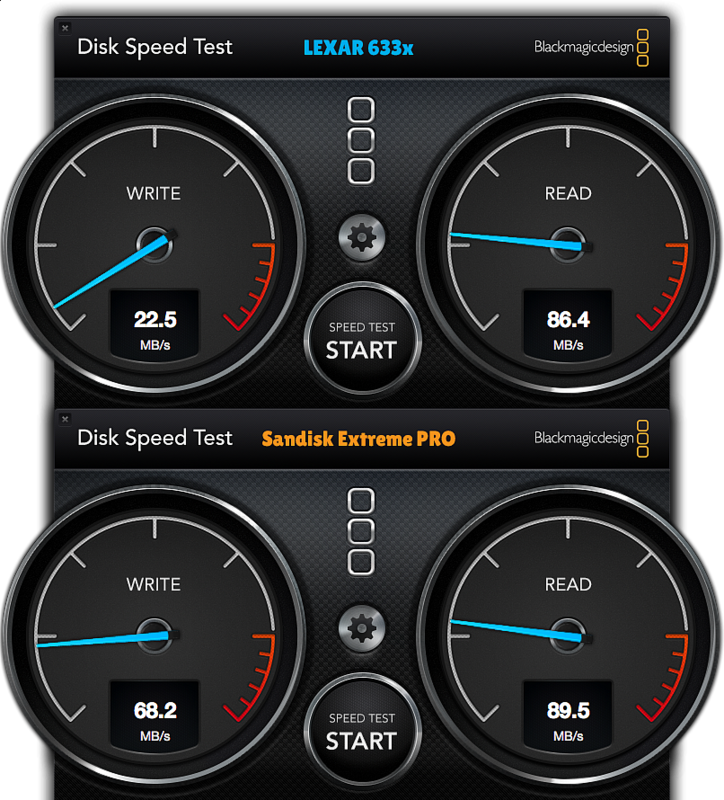 Propably fastest card on the market: Sandisk Extreme PRO, about 3x faster writing speed. Grab it.